weeLove: Peanuts, Eggs, and Milk…Oh My! Anxious about introducing peanuts, milk, eggs (or all of the above) into your baby’s diet? With food allergies on the rise, you’re not alone. 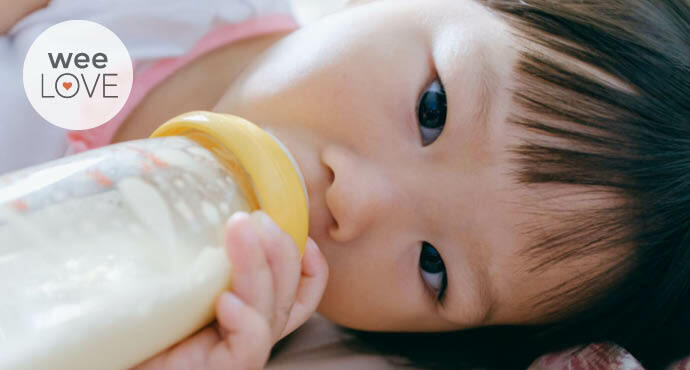 But there’s good news: new national guidelines and several breakthrough studies show that exposing babies as young as 4 months old to potentially allergenic foods early and often may reduce their risk of developing food allergies by up to 80%. But it can be daunting to get your kiddo to regularly eat these foods, in the right amounts (which is the key to the prevention of food allergies). Problem solved, thanks to Ready, Set, Food! 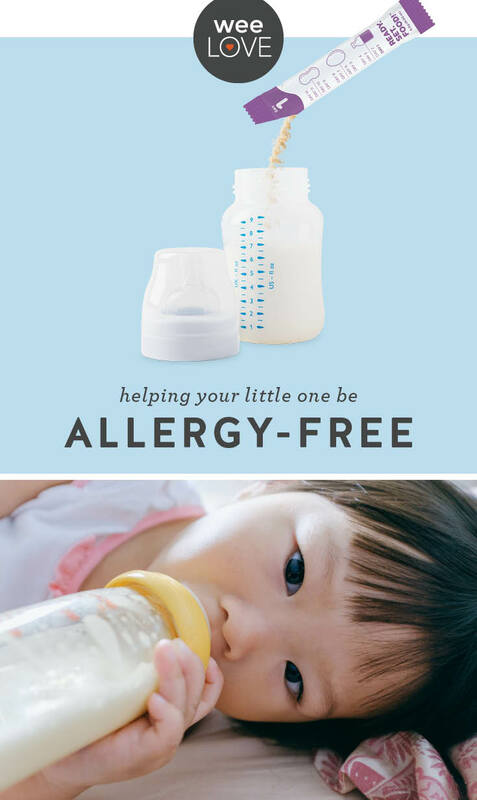 Developed by an allergist (and mom), this gentle system gradually introduces your baby to the right amount of each allergen—egg, milk, and peanut—over time. Ready, Set, Food starts with these three allergens since they make up most of food allergies and have the biggest impact on quality of life (peanuts can be the most serious, and egg and milk are the trickiest to avoid). Made only with organic, non-GMO ingredients, there’s no added sugar, additives, or preservatives. Simply add a numbered, daily packet of the all-natural powder into your baby’s breastmilk, formula, or food. Yep, that’s all you have to do. As always, before adding anything to your kiddo’s diet, we recommend chatting with your trusted medical provider. Recommended by over 120 pediatricians and allergists, Ready, Set, Food! is sold as a monthly subscription with all the individual packets you need for a no-stress, no-cook (woot woot!) allergy reduction plan.